Quality bison meat has excellent texture and flavor. Eichten’s bison / buffalo meat has NO growth hormones, antibiotics or blood vessel clogging cholesterol? Bison is low fat, low calories, low cholesterol and high protein. 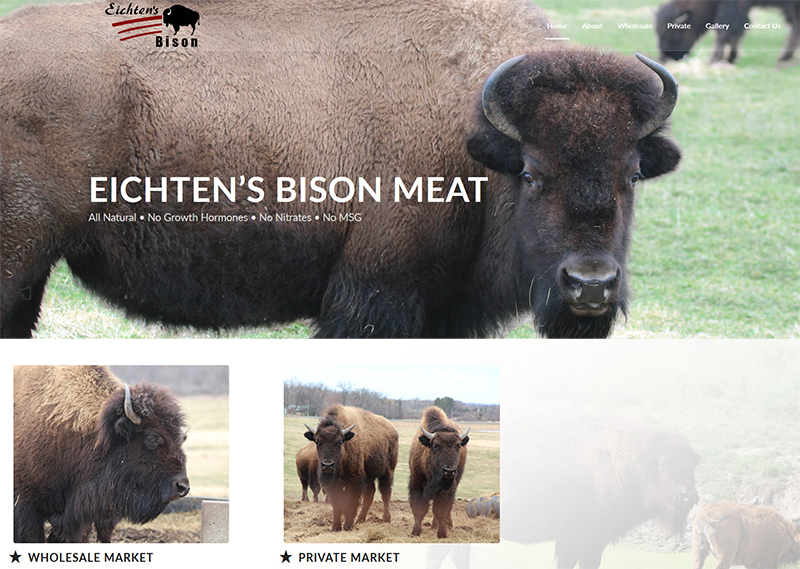 You can buy Eichten’s Bison wholesale or for private use.